Born at Halson, North Dakota on 12 October 1882, he came to Winnipeg with his family in 1888. A printer by trade, he was a member of the Typographical Union for over 25 years. He was a Labour candidate for the Winnipeg constituency in the 1932 provincial general election but was defeated. 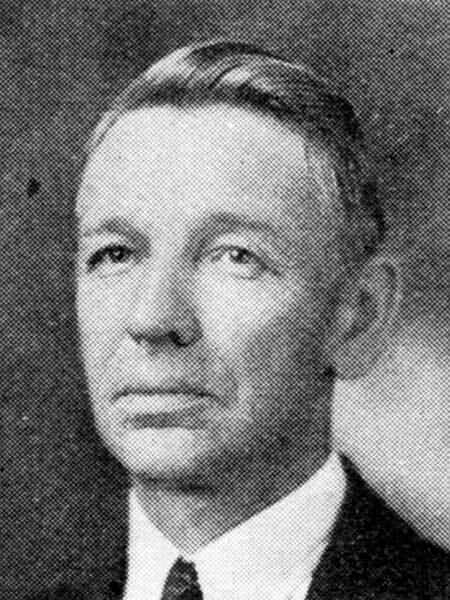 He served on the Winnipeg city council from 1933 to 1936, and from 1940 to 1954. He retired in 1954 and moved to Vancouver, British Columbia. He died at Campbell River, British Columbia on 14 April 1970. “Ward two electors have ten candidates to choose from for city council,” Winnipeg Free Press, 17 November 1932, page 3. “Same setting, same face, but different role,” Winnipeg Free Press, 27 December 1957, page 3.